HHS spokesman Weber said it was BCFS’ responsibility to ensure the fingerprinting was being done, and directed VICE News to the company. “It’s on the grantee to verify that the work’s been done,” he said. Vice News reported that they talked to twenty “direct care” workers who interact with the children on a daily basis, and they all confirmed that they had not been fingerprinted. 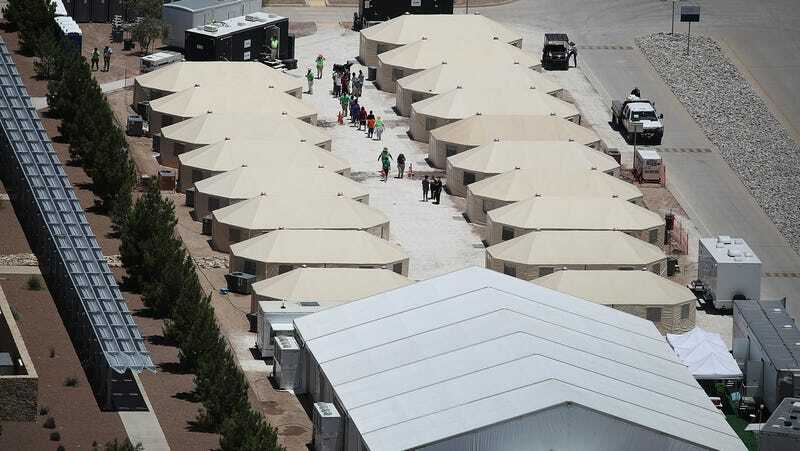 This is despite the fact that HHS detention centers housing immigrant children across the country are rife with abuse. The failure around fingerprinting in the facility is particularly egregious in the face of the administration’s new policy around parents seeking custody of the children currently being detained. Previously, most parents didn’t have to go through fingerprint checks. Now, as reported earlier this year, everyone in a home where a child may be placed has to submit fingerprints to run through an FBI background check. These new requirements have only served as a way for the government to further arrest and track undocumented immigrants who come forward to claim their children.